Get ready for the show of a lifetime! On Friday 15th and Saturday 16th December 2017, the incredible Moscow Ballet's Great Russian Nutcracker will arrive at the The Wiltern!! Get ready for a night of the very best performance of the Christmas season! This is the show we've all been waiting for… Don't miss your chance to be a part of this incredible phenomenon! Grab your tickets NOW and take the whole family along!! Featuring almost 40 ballerinas and danseurs, The Moscow Ballet’s Great Russian Nutcracker is held in high regard across the world for its stunning Principal Dancers, extravagant costumes, backgrounds by Carl Sprague “La La Land,” Concept Designer, and its authentic Russian focus. Prepare for stunning theatrical effects, elaborate dancing and, of course, Tchaikovsky’s enduring and much-loved score. What are you waiting for?? 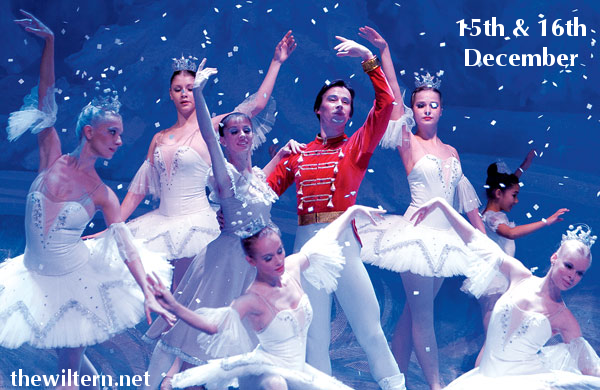 Get your tickets today to see the Moscow Ballet’s Great Russian Nutcracker! !